With heavy hearts we announce the passing of Mr. Ainsley Gibson on October 9, 2018 at the blessed age of 91 years. Ainsley was born in Medicine Hat, AB on September 30, 1927. He grew into a kind, hardworking young man who won the heart of Lilian Mae Gordon. 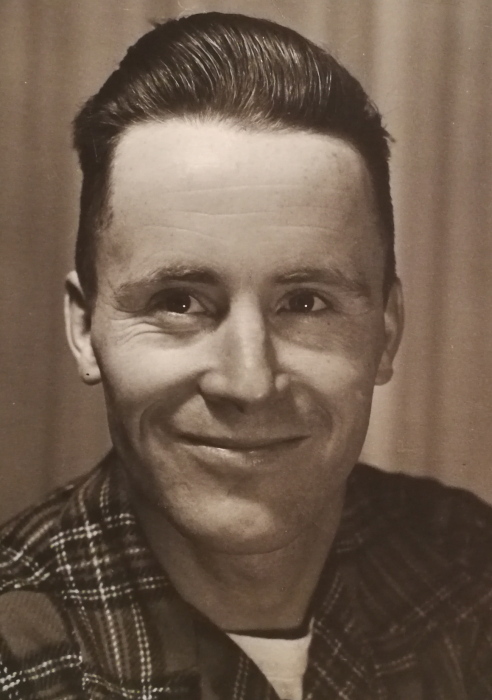 He and Mae were joined in holy matrimony on June 5, 1948, and moved to the Crowsnest Pass in 1950 where they went on to raise their children and create countless wonderful memories. Ainsley loved the Crowsnest Pass area and he took full advantage of its beauty through hiking and capturing it in photographs and paintings. Ainsley also enjoyed carving and was a talented calligrapher. Ainsley’s thoughtful, benevolent spirit will be greatly missed and forever remembered by his family and all who were fortunate enough to have known him. 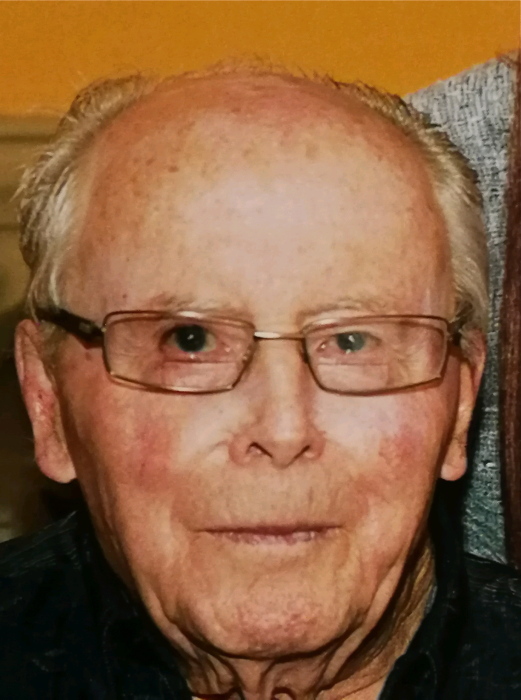 Left to mourn his passing and celebrate his life is his wife, Mae of Blairmore, AB; his son, Charles (Jan) Gibson of Coleman, AB; his daughter, Karen (Dale) Montalbetti of Coleman, AB; his grandchildren, Dennis (Toni) Gibson of Gagetown, NB and Lindy (Jason) Jackson of Sparwood, BC; his great grandchildren, Nathan Curry of Gagetown, NB and Layla Mae Jackson of Sparwood, BC; his brother, Don (Linda) Gibson of Hope, BC; as well as his extended family and friends. With respect for Ainsley’s wishes, no funeral service will be held. Memorial donations will be gratefully accepted by the Royal Canadian Legion Branch 19 Bellevue (PO Box 58, Bellevue, AB T0K 0C0), or the Alberta Birds of Prey Centre (www.burrowingowl.com, or 2124 – 16 Ave., Coaldale, AB T1M 1J8). Condolences may be registered at www.fantinsfuneralchapel.ca.